A 12 oz. 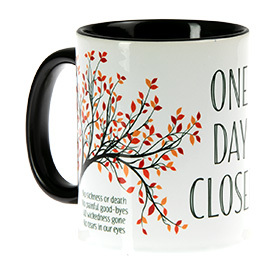 ceramic coffee mug imprinted with "His mercies never end. They are new each morning." Lamentations 3:22, 23. Green on the inside with matching handle. Hand wash recommended. Size: 3-3/4" H.